Miss Kitty is purely an outdoor cat. We invited her inside the Bothy once in a while, and once in a while she would come in -- but she was uncomfortable. 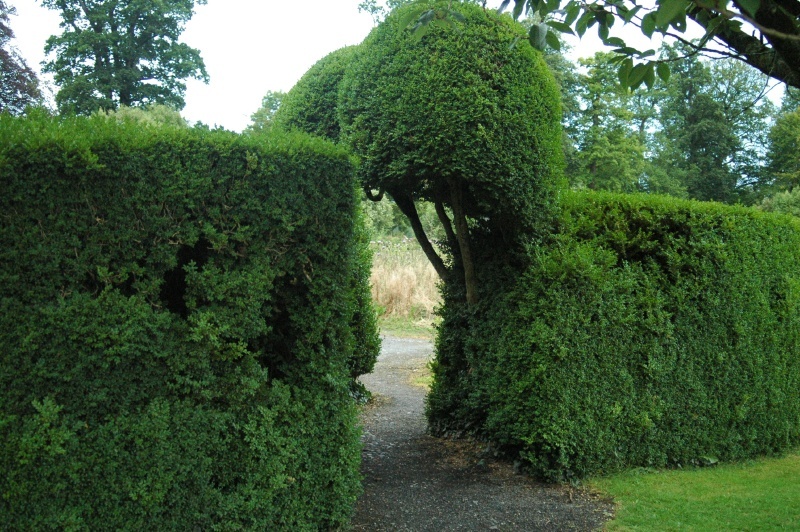 After we had been with her for about three weeks, she was comfortable enough with us to show us where she made her "home" nest -- and led us on one of our evening strolls around the Demesne to this little passageway through the hedge to an abandoned kitchen garden area. There is a hollow area in the hedge on the left side of this opening, and she proudly showed us her home inside it. T hat was a touching moment, indeed.